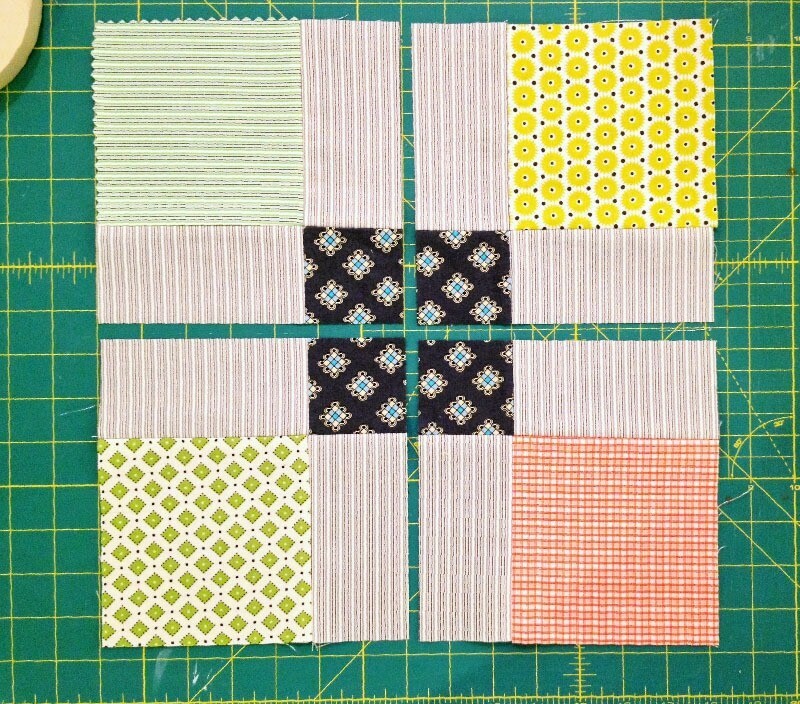 A nine patch block is a traditional straightforward quilt block, many young girls would often make this block as their first one when learning to quilt. 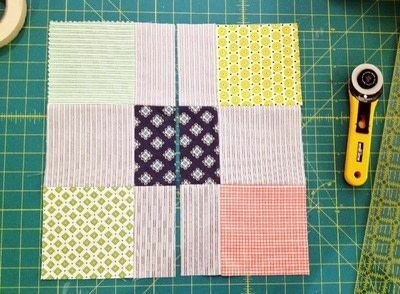 This shows you how to make this traditional block, then create a set of completely different blocks with two simple cuts. 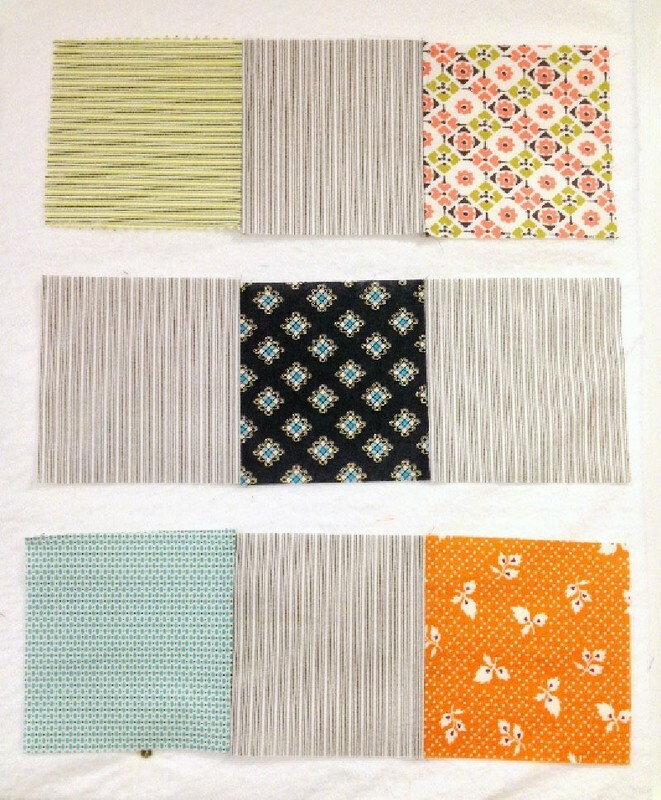 To make one block- choose 6 different prints. 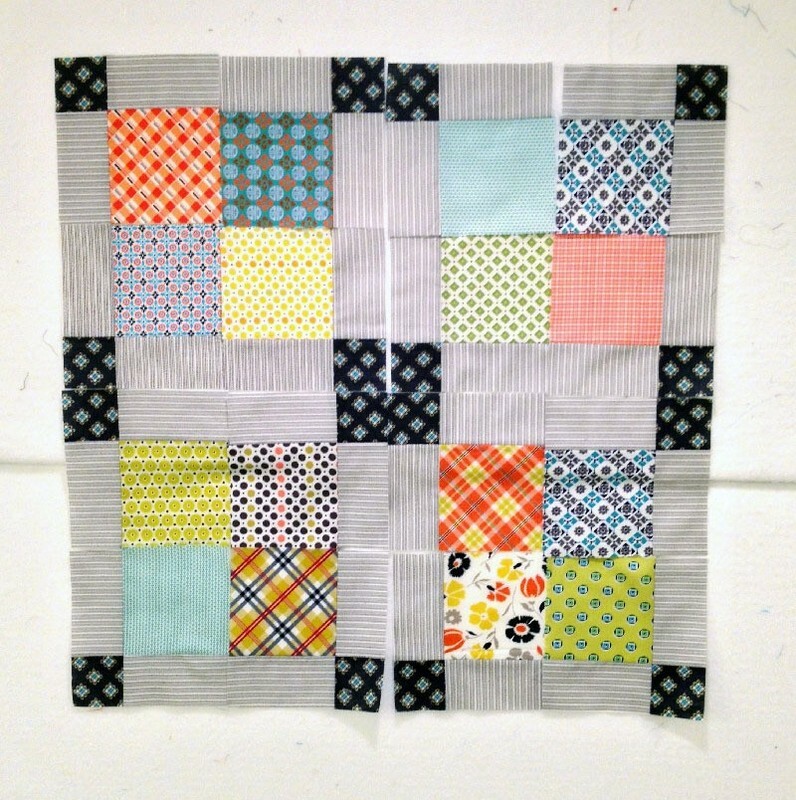 In mine, every other square was the same stripe fabric, and the center of every block was always dark. 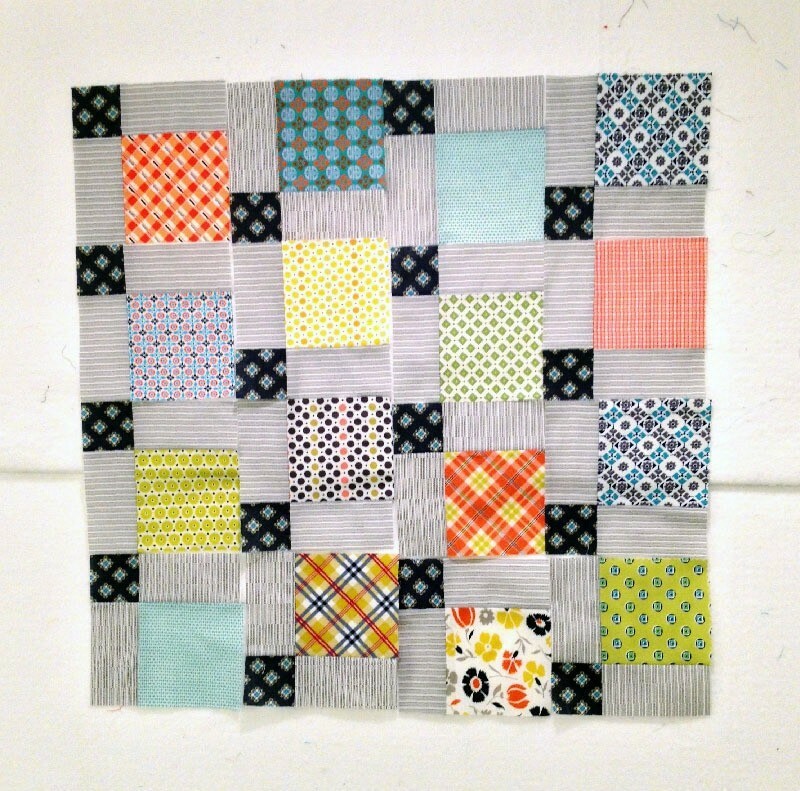 The squares can measure any size you would like (charm squares are 5" x 5"), but they should all measure the same. 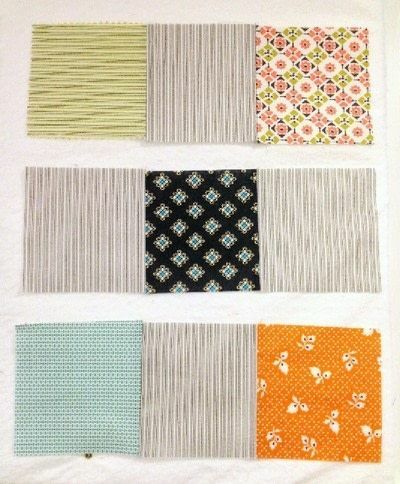 Lay them out, then sew each row across together (as shown in photo). 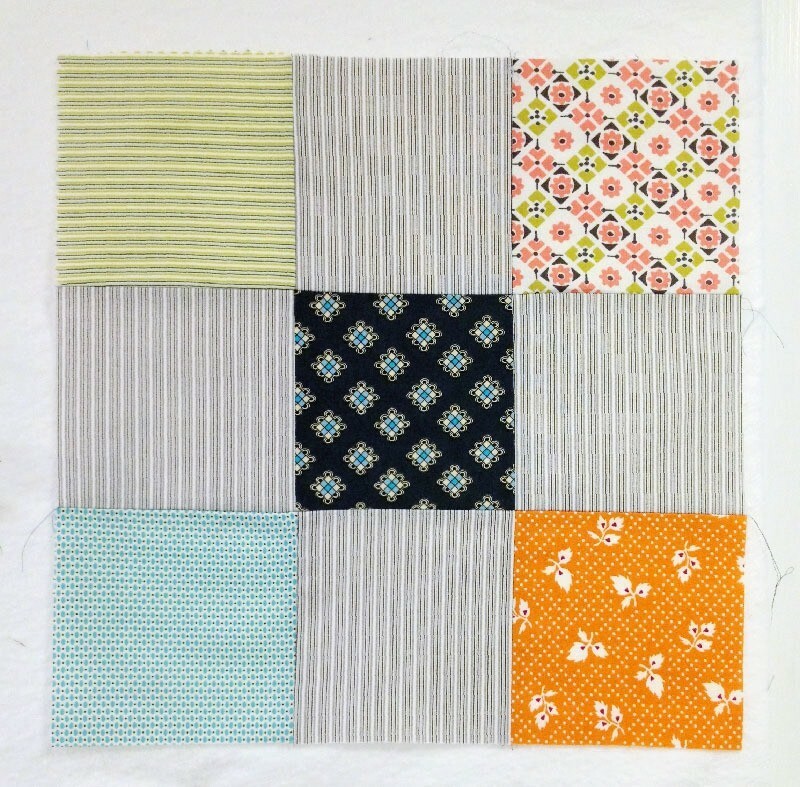 Use a 1/4" quilting or patchwork foot (all seam allowances are 1/4") and press seam allowances to one side. Finish the nine patch block. 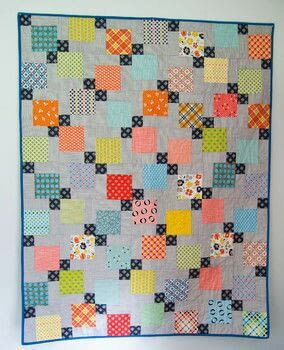 Sew rows together, as shown in photo. 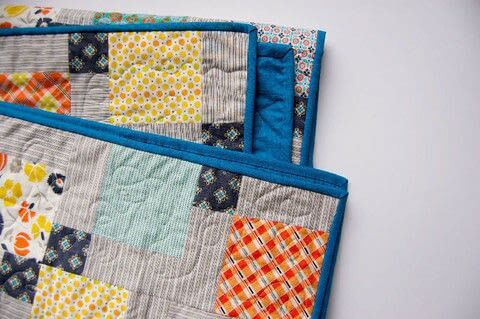 Repeat these two steps to make several quilt blocks. 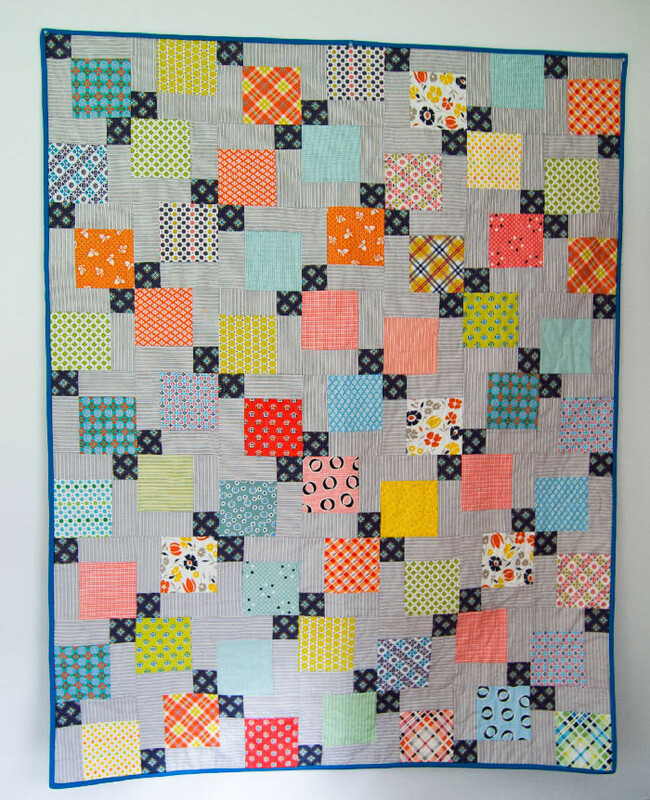 Press seam allowances to one side. 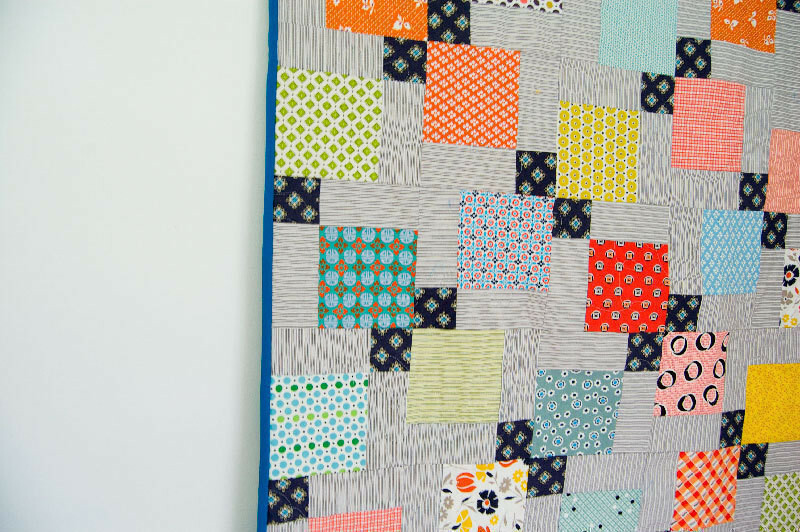 Cut your finished nine patch quilt block in half vertically using a clear quilter's ruler, rotary cutter, and cutting mat. 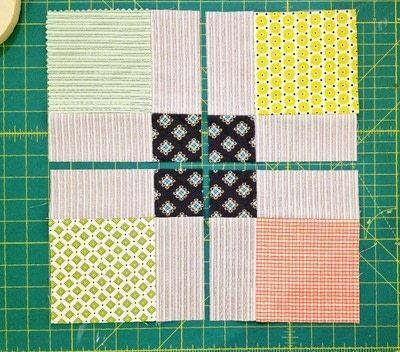 Do not move the block halves once you've cut them. 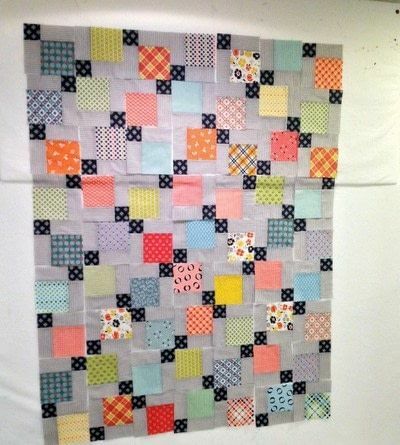 Cut the block in half horizontally. You'll now have 4 equal sections of the quilt block. 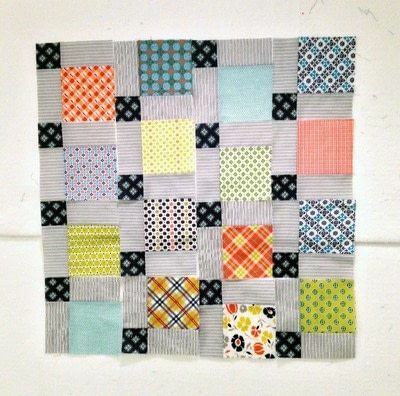 Repeat steps 3 and 4 for each nine patch block you make. It's helpful (and fun!) to have a design wall or cleared table or floor space to lay out your blocks and play with the design of your quilt top. 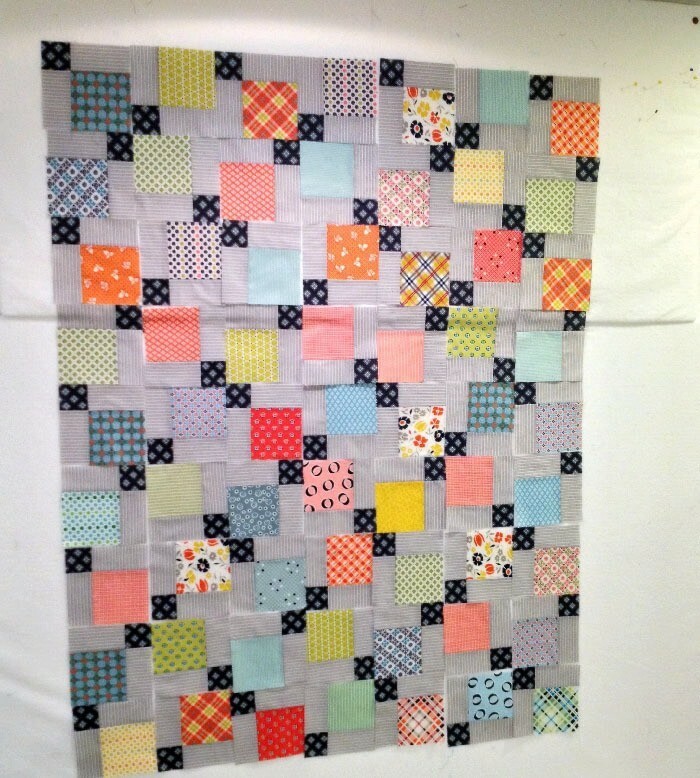 Here's a layout putting the darker squares together. Here's one creating a diagonal effect. 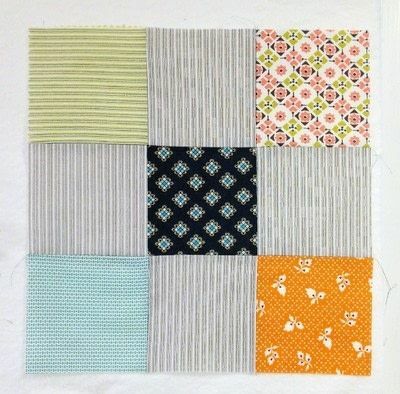 This is the layout I used for my own quilt. Experiment and have fun!